Another author in the Campello household! 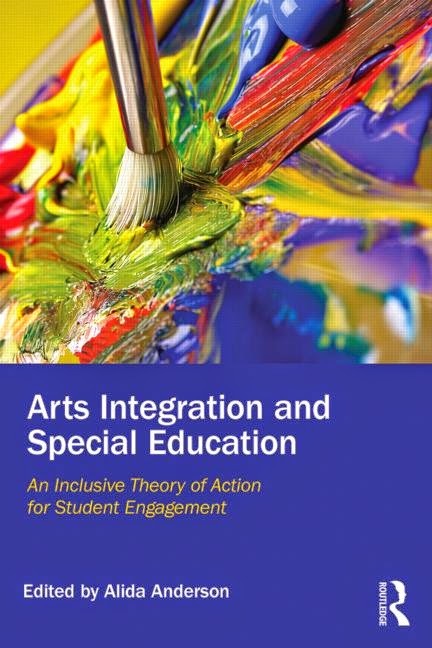 Arts Integration and Special Education contributes to research, policy, and practice by providing a theory of action for studying how linguistic, cognitive, and affective student engagement relates to arts integrated learning contexts and how these dimensions of engagement influence content area and literacy learning. Arts Integration and Special Education connects the interdisciplinary framework in human development and linguistics, special education, and urban education with primary action research by special educators trained in arts integration, working in an inclusive urban charter school with middle school age students. Upper elementary to middle-grade level student learning is relatively understudied and this work contributes across fields of special education and urban education, as well as arts education. Moreover, the classrooms in which the action research occurs are comprised of students with a diverse range of abilities and needs. The book’s interdisciplinary model, which draws on developmental and educational psychology, special education, and speech/language pathology research and practice, is the first to posit explanations for how and why AI contexts facilitate learning in students with language and sensory processing disorders, and those at-risk for school failure due to low socioeconomic status conditions.